Organized Crime | Strike of Lightning! 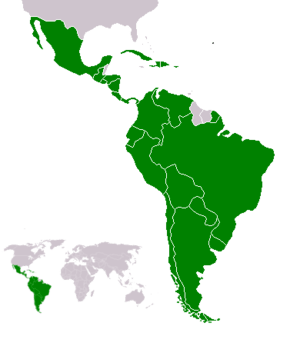 Todd Robinson, deputy assistant secretary of the International Narcotics Affairs and Law Enforcement United States government, acknowledged that his country does use agents to infiltrated the Mexican financial system to investigate the flow of washing money to Mexico. Interviewed on the premises of the National Institute of Penal Sciences (INACIPE), where the U.S. official came to review the implementation of educational resources as part of the Merida Initiative, said that Mexico and the United States will continue working to combat criminal organizations. 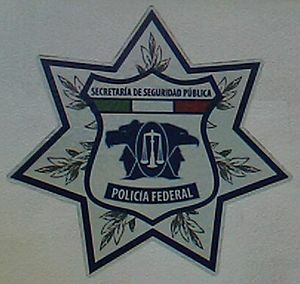 The theme of the infiltration of agents of that country in the Mexican financial system to investigate money laundering flows caused great controversy after The New York Times reported that President Barack Obama has not only implemented strategies of infiltration into the flow of weapons such as the Fast and Furious operation, but also agents of the Federal Drug Enforcement (DEA, for its acronym in English) money launderers Mexican cartels to identify members of these criminal groups. Interviewed after a tour of the INACIPE, Robinson reiterated that the governments of both countries are working on coordinated actions to combat organized crime and drug cartels. “We have many programs and many ways of collaborating with the Mexican government are partners in this fight against organized crime and narcotics trafficking, and we will continue the collaboration. They are good partners and we will continue with this, “he said. On Sunday, the influential newspaper in the U.S. revealed that the DEA is working with Mexico’s drug cartels to launder money from drug sales in U.S. territory. The New York Times revealed that the DEA helps Mexico to located and identify unknown amounts or millions of dollars. “undercover U.S. drug agents have washed or smuggled millions of dollars from drug sales, as part of Washington’s growing role in the fight against cartels in Mexico,” presumably on the grounds to detect and identify the strategies used by drug traffickers to launder money, says the report signed by Ginger Thompson, whose base are statements of agents and former agents of the DEA who remain anonymous. In addition the report highlights that the DEA agents “have handled shipments of thousands of dollars to the border crossing “and even deposit the money in accounts that they designate the same drug or other authorities created by the Obama administration. According to reports, the troops carried out intelligence work for the whereabouts of the alleged members of organized crime and after a series of interviews they gave the names of the soldiers who were in their service. This information was presented to the Police and they proceeded to arrest the accused. Among those arrested are members of the state and municipal police of that place. The 14 people were taken to the State Agency of Investigations, where they remain in detention while the investigations are ongoing. So far has no one has leaked the names of the accused individuals connected with the crime. The officers were in Sabinas state as commissioners to monitoring the municipality because the municipality had been effective dismissed for his ties to organized crime. Currently some of them are held while they disclaim responsibility for what they are accused. It should be recalled that on October 14, 11 police patrols and traffic officers in the municipality of Sabinas Hidalgo was arrested by Federal Police and state Civil Force. The policemen were arrested for their possible links, as well as provide protection to organized crime groups in the state. The uniformed people, located about 120 kilometers north of this city, were taken to facilities where the state police pay his statement to the authorities. The Federal Police have since been relocated to the town to strengthen surveillance.